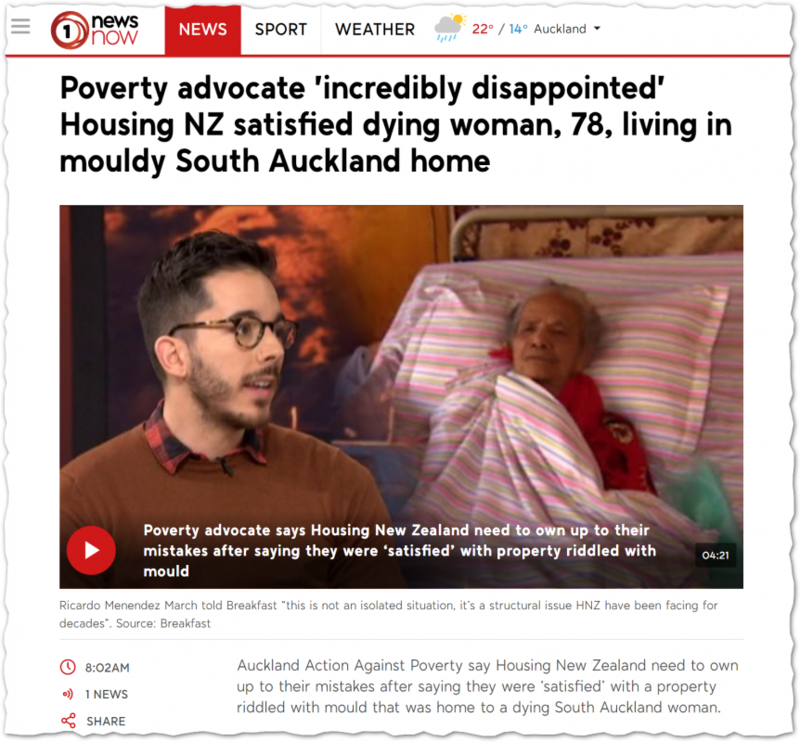 26 November 2018 News Now: Poverty advocate ‘incredibly disappointed’ Housing NZ satisfied dying woman, 78, living in mouldy South Auckland home | Sustainable Engineering Ltd. Although this is again one horrible house and one family in an unfortunate situation it is representative of a large number of really unhealthy homes in NZ. I seldom see homes this bad (although the EcoAdvisors do) but many new homes built to minimum code and some to ‘better than code’ have mould within a short time. I don’t see this improving in our building stock anytime soon unless we make some significant changes – to code.